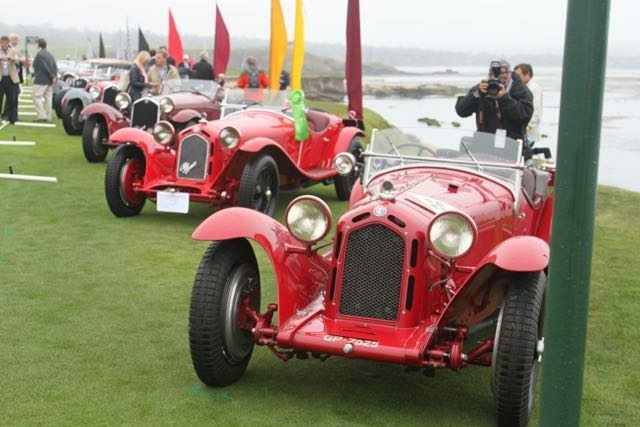 Any of you who have attended the Classic Car Week in Monterey know that there is way more going on than any mere mortal can see during your allotted time on the peninsula. Between auctions, marque events, dinners, various shows….oh, and that little concours out on the golf course…., it’s a smorgasboard of delight for any classic car enthusiast. 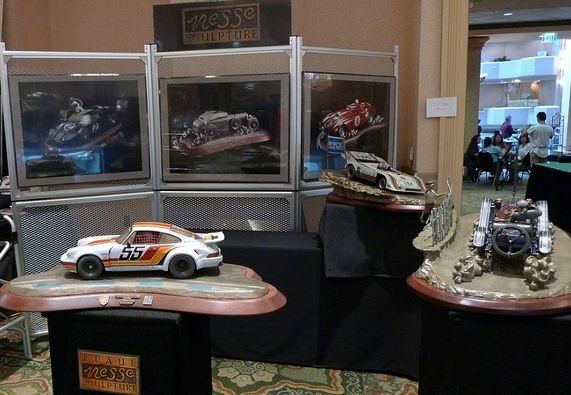 One of my favorite events on the peninsula is Automobilia Monterey, held for the past 14 years in the Ballroom of the Embassy Suites in Seaside. If your budget is a little south of a Bugatti, but you’re still looking for a fine piece for your garage, this is definitely the place. 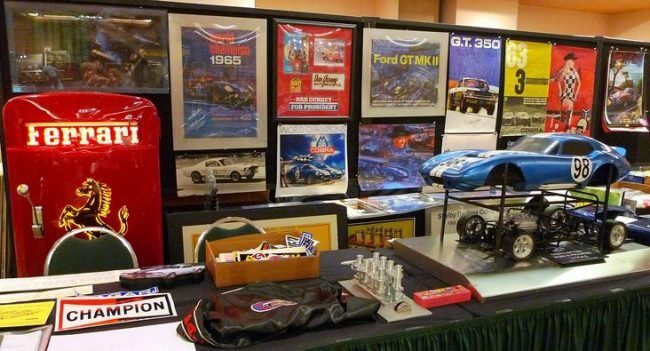 It’s chock full of the very best automotive art, original prints and posters, scale models, literature, signs, mascots, and photography – all for sale, and all are original vintage pieces – no reproductions are sold. These are the very best dealers, collectors, and enthusiasts in the business all in one place, and their displays feature amazing one-of-a-kind art, clothing, signage, and literature you simply won’t see anywhere else. Join your host Tony Singer on Tuesday or Wednesday next week to see the best automobilia available anywhere in the world.